We are happy to announce that several of our complete Seminars are now available on CD-rom in Powerpoint format (PC only). NB: These CD's are non-sound at this time. 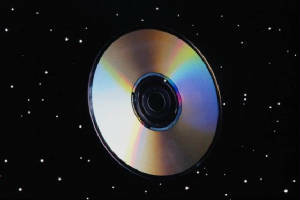 For information on our new selected range of sound CD's put your name on our obligation free mailing list for updates. Note: this CD is an 'Introduction' CD. It is not designed for current Practitioners or those more advanced students. This covers the basics only. What the Client REALLY wants! This is an excellent Course for those wishing to join the Advertising profession - or for those seeking to develop their careers. This CD takes a serious overview of CRM but with specific emphassis on Retail trading at all levels. Integrating DM & SP progs. This CD is an all-inclusive overview of Sales promotion - the fastest-growing area of promotional expenditure. Essential for student and current practioner alike. A constructive aid for all people involved in Marketing creativity, enabling them to appreciate both constraints and opportunities. Essential material for those wishing to enter Marketing, or those with a knowledge gap. The CD provides a practical overview of media and how to use it effectively. Ideal for new entrants to Advertising and Marketing roles.